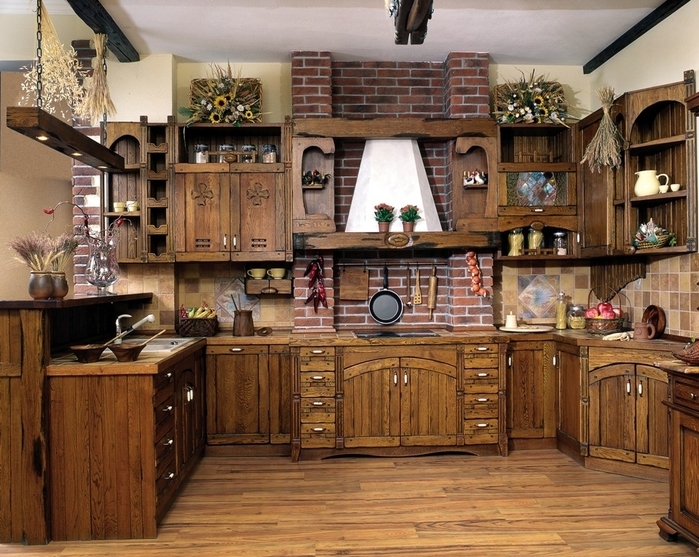 We can not deny all the benefits of modern contemporary kitchens - ergonomic forms, shiny surfaces and very "smart" appliances, but there are kitchens, with much simple design at a glance, but with great charm! 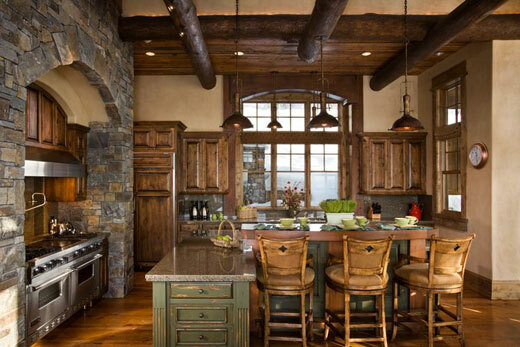 No matter how we call them - rustic kitchens, country or rustic style, in practice it is a similar concept . 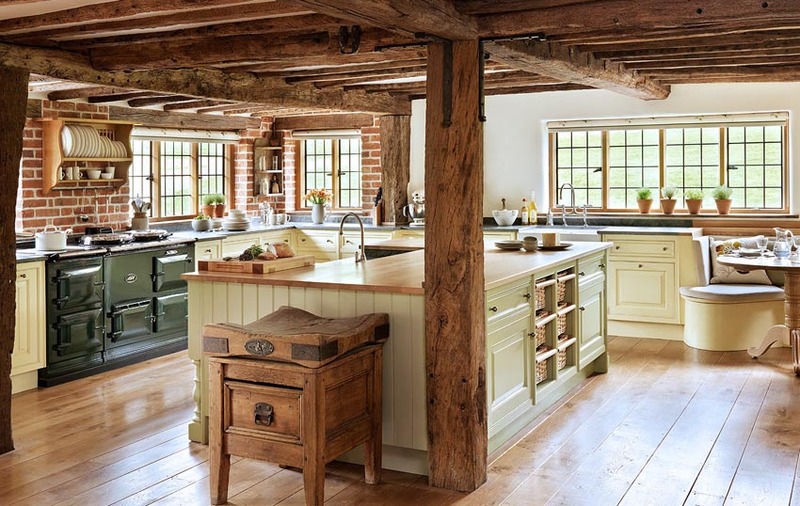 These are kitchens with exceptionally warm and friendly appearance, which is not due to the high degrees of the wood stove or fireplace, but to the natural character of all the elements that form them . 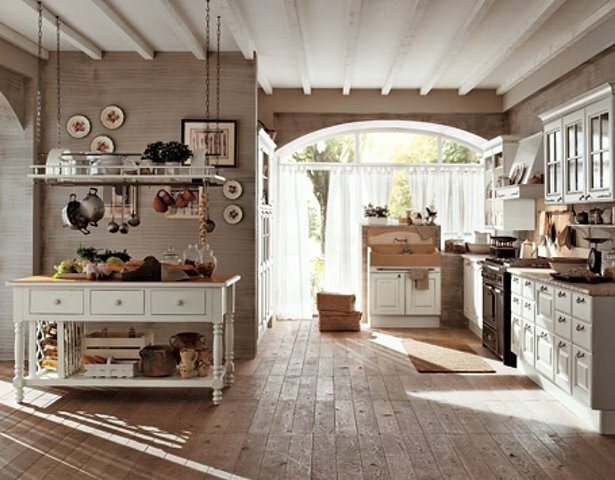 Of course, the first is the use of natural wood - for furniture, floors and even wall cladding. With correct care and quality maintenance, they can be used successfully for a long time . 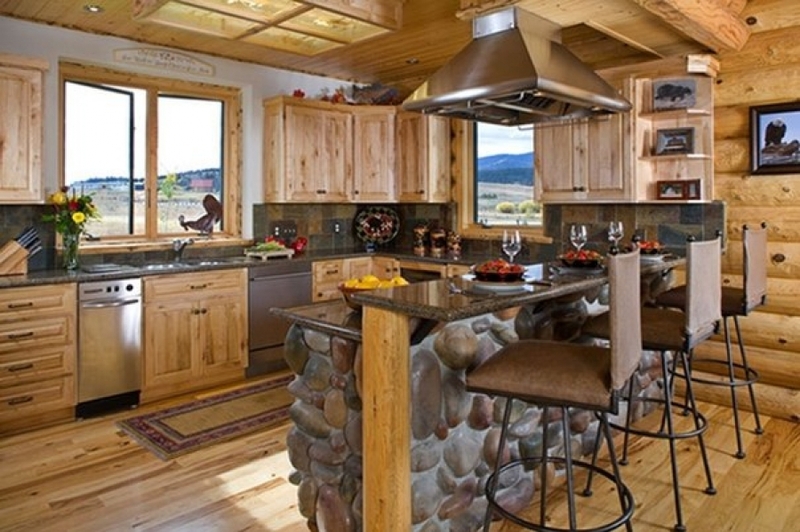 The next major material is stone - for the corner by the fireplace, the stove or as cover for the work surface - worktop. 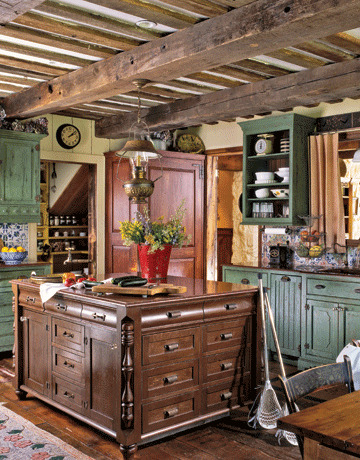 Naturally, country-style kitchen would not be a fair presented, in the absence of the wooden beams on the ceiling. 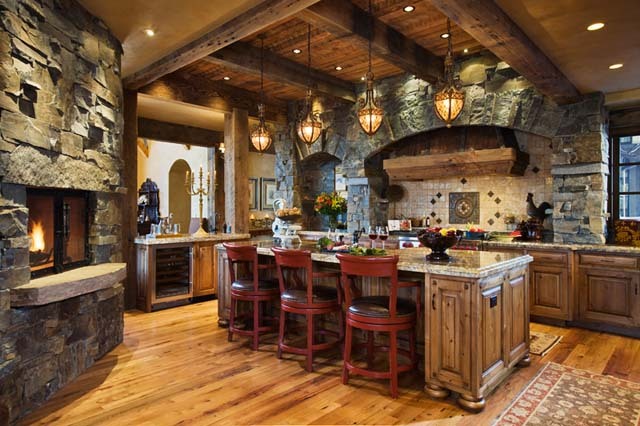 And if you like this style, do not think that for this kitchen, you have to win the lottery or at least a small fortune - you can find available on the market counterparts of natural materials (such as artificial stone facing, decorative polyurethane beams) through which can achieve completely realistic effect even with a limited budget.